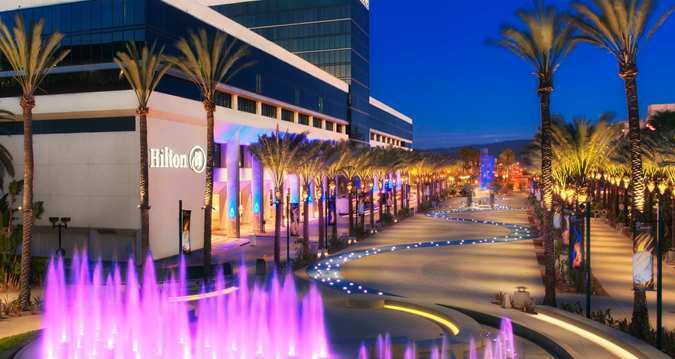 This fantastic location across the street from Anaheim Convention Center and just one mile from Disneyland® Resort. Inside the hotel, visit the Disney® Desk, where cast members will offer expert advice, provide tickets and organize a shuttle service to the world-class attractions. Comfortable rooms and suites, fantastic dining and first-class facilities for business and recreation all combine to ensure you have an unforgettable stay in Anaheim, California. Hotel's room rates are subject to applicable state and local taxes, currently 15% Room Tax, 2% Tourism Improvement District Assessment and $1.76 Tax Assessment Fee. These are subject to change without notice. To request a change on a reservation, please email Lacey Rimoli at Lacey@stagedrightevents.com. Changes to your arrival or departure date without penalty require notice 72 hours prior to arrival, otherwise additional room and tax penalties may apply and will be charged to the credit card on file. All change requests are subject to room availability. The hotel requires a valid credit card to confirm the room. Reservations not cancelled 7 days prior to arrival will forfeit one night's room rate plus taxes. Cancellations must be submitted by email to Lacey Rimoli at Lacey@stagedrightevents.com.